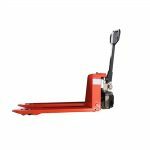 Compact, lightweight and offering load capacities of up to 1.5 tonnes, the Powered Pallet Truck Mini Range – 1.5t is suitable for more light-duty applications including horizontal transportation and order picking. 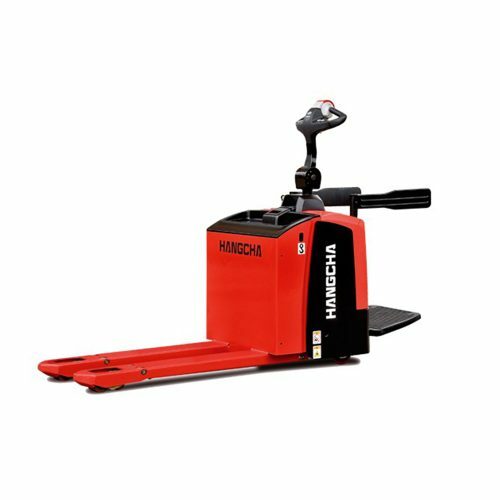 The easy to operate side battery is energy-efficient and offers cost-saving solutions. Simple and beautiful tiller designed to operate all functions easily even by one hand. 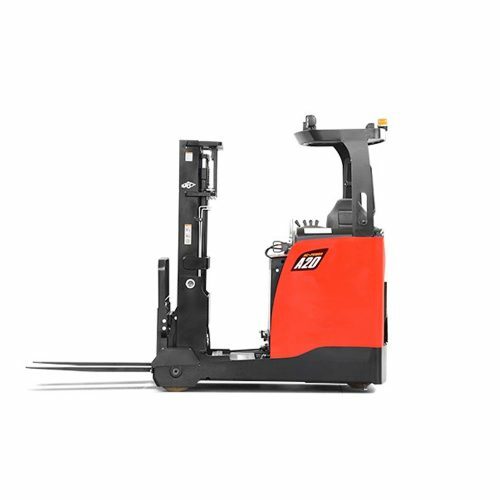 Optimized design to offer a good visibility and easy entrance of the pallet. Built-in charger and maintenance free gel battery adopted to provide convenient usage. Easy operation side battery change is the standard specification. 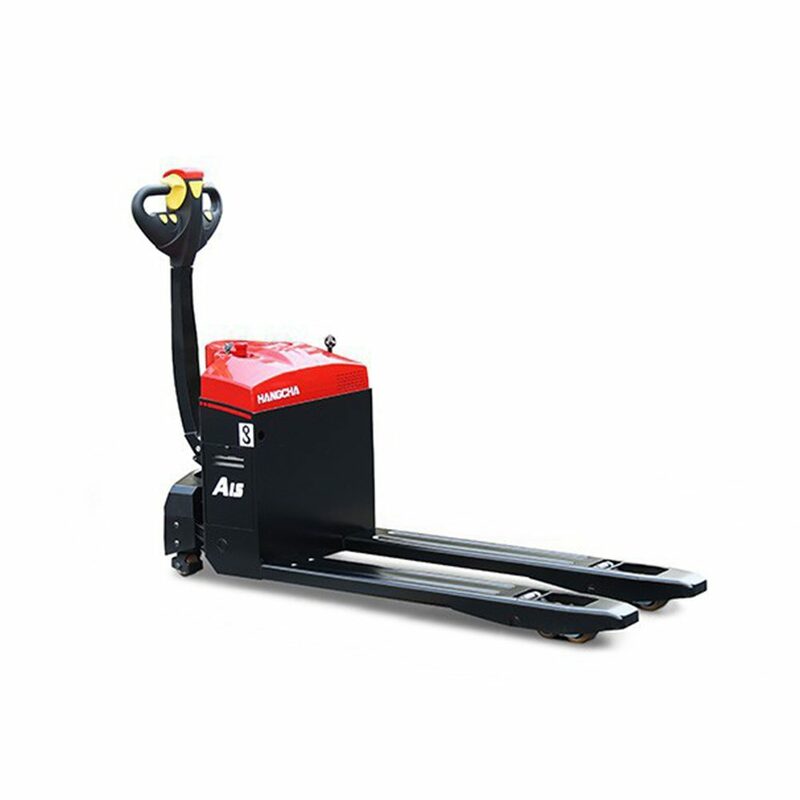 Auxiliary wheel is the standard specification to have good stability. Tandem load wheel is also the standard specification. 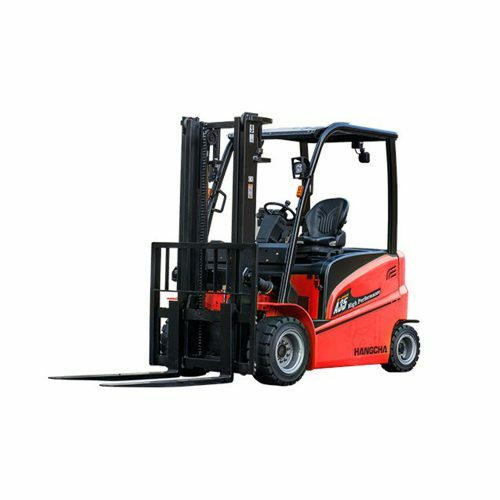 Top quality HPI hydraulic power unit applied to provide low noise, low vibration, smooth lifting and landing. All the wheels are stellana wheel. 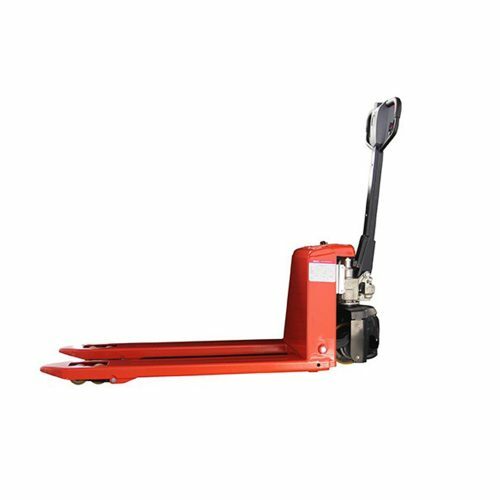 Simple operation, easy to replace the manual pallet ruck. Tortoise speed button is available and easy access. 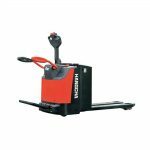 The emergency button on the tiller head can effectively avoid the harm to the driver in emergent situations when driving in reverse.